Sale if high capacity large industrial ventilation and special fans, heavy-duty industrial process blowers, OEM special ventilators and industrial fans / blowers wheels, blades, impellers. Engineering sales of industrial turbo pressure blowers, high pressure radial fans, multistage industrial blowers and regenerative side channel high pressure blowers. 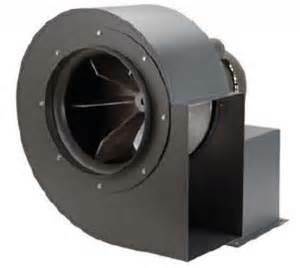 Canadian Blower OEM industrial fans, roof and wall exhausters, ventilating and air-conditioning equipment. Centrifugal blowers with various types of radial impellers are commonly built as AIR HANDLER and MATERIAL HANDLER. Air-handling fans are designed to move air or gas at high pressure. Application of these fans are in the areas of pollution control and other special equipment. Material handling fans are designed for use in air containing fibers, stringy and granular materials, as well as dust. High pressure blowers are used in the applications requiring low or moderate air volume at pressure ranging up to 150 inches of water column. Typical applications include industrial combustion, pneumatic conveying, blast furnaces, air scrubbers, and many other special applications. CA aluminum pressure blower is designed to provide low volume, high pressure air for cooling, ventilating and exhaust systems which handle dust, materials or corrosive fumes. The Canada Blower CA blower is available in seven housing sizes that can be fitted with multiple blower wheel and inlet configurations to meet any fan performance requirement. Canada Blower cast Aluminum Pressure Blowers are the perfect choice for providing low volume, high pressure air for cooling, ventilating and exhaust systems which handle dust, materials or corrosive fumes. Canada Blower direct drive (CA) or belt driven (CABD) pressure blowers feature heavy duty cast aluminum blower housings with cast aluminum wheels for extra long life and trouble-free service ventilating.com fanblower.com highpressureblower.net industrialblowerfan.com industrialfanblower.net industrialfanblower.com pressureblower.net northernindustrialsupplycompany.com industrialpressureblower.com tenderall.com chicagoblowercanada.com cbblower.com buffaloblower.com buffalofan.com nis-co.com canadianblower.com olegsystems.com canadablower.com abbblower.com acmefan.net industrialblower.net fansandblowers.net americanblower.net barryfan.com cincinnatifan.net canadafans.com barryfan.net pennbarry.net pennfan.net tcffan.com. Pneumatic conveying embraces both dust collecting and air conveying. In a typical system the amount of material transported is low compared to the amount of air used. Usually, a large quantity of fast-flowing air is needed to assure entrainment of material. Consequently, the materials moved have little effect on the performance of the fan.